Hello all, as mentioned on the show, there is a new contributor coming to the Pit. His name is Chris, and he will be creating his own half to the show, which will air on a two hour time slot instead of a one hour time slot. Chris’s taste in metal is different than mine, and my hope is he will be able to showcase a greater variety of the genre. There will be a Christmas show, featuring some Christmas tuneage, but not entirely Christmas music…too festive if you ask me. In an update of the news, the protesters at standing rock have managed to get construction of the DAPL pipeline halted, if temporarily. I think I speak for many when I say this is highly suspect, and most certainly a ploy, as has often been the case in the past. In order to divert rising tension and deescalate a situation the the party of power will seek to appease the other party in some small way, this is to stop a movement from gaining momentum, and becoming larger. This will lower the governments ability to manage the situation, and increase the chances of it becoming news, which could thwart the pipeline altogether. If the government ever had any intention of helping the people at standing rock, they wouldn’t have let their abuse continue on for so long, only to grant reprieve when thousands of veterans showed up overnight to defend the democratic process. I’m at a loss for words, the frustration is overwhelming, and in my heart I feel big oil and the government laughing at the native american’s expense. I’ll be putting on a good show next week, more talk, less music. 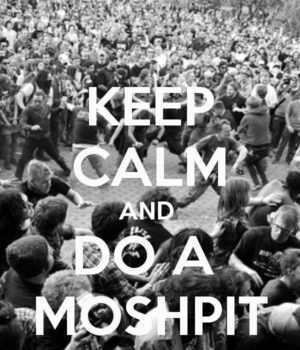 I’ll see you in the pit.